In the game of seduction, you have to be willing to do anything to win. A true seducer knows that. 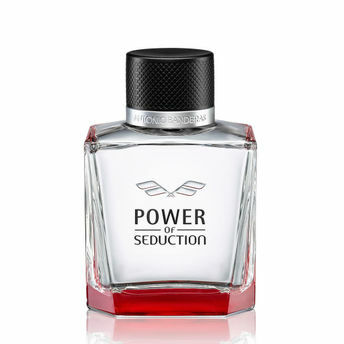 Antonio Banderas Power of Seduction Eau de Toilette is a temptation in the form of elegant masculine desire. Antonio reveals his more daring and adventurous side with his new fragrance, Power of Seduction: a defiant, fresh and young-spirited scent. Explore the entire range of Perfumes (EDT & EDP) available on Nykaa. Shop more Antonio Banderas products here.You can browse through the complete world of Antonio Banderas Perfumes (EDT & EDP) .